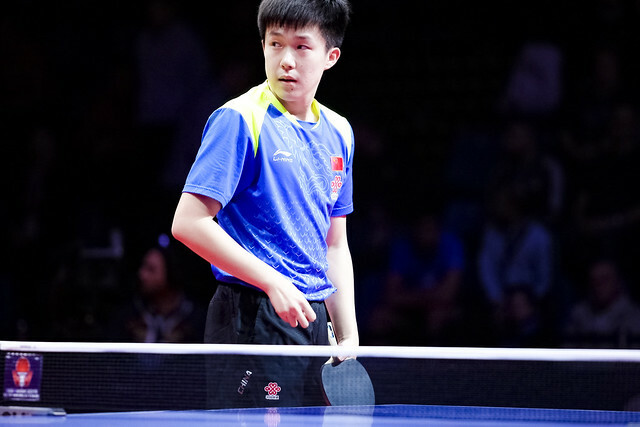 A place in the main draw, for Africa’s leading players at the forthcoming Seamaster 2019 ITTF World Tour Hungarian Open, it is a quite prodigious task. All must compete in the qualification tournament which commences on Tuesday 15th January. Notably Nigeria’s Olajide Omotayo and Egypt’s Youssef Abdel-Aziz clash in the opening round, both players who excelled last year. At the ITTF Africa Senior Championships, Olajide Omotayo reached the semi-final stage of the men’s singles event; Youssef Abdel-Aziz partnered Khalid Assar to men’s doubles gold. Earlier in the year Youssef Abdel-Aziz had been crowned African junior champion in the Ivory Coast. The winner of the contest in Budapest meets Romania’s Hunor Szocs. Likewise, in the opening preliminary round of the men’s singles event, Khalid Assar opposes Switzerland’s Dorian Girod; Nigeria’s Azeez Jamiu confronts Frenchman Andreea Landrieu, Makanjuola Kazeem faces Austria’s Alexander Chen. The quest for a place in the main draw commencing in the opening preliminary round, for Egypt’s Omar Assar and Nigeria’s Quadri Aruna, it starts one round later. Omar Assar faces the winner of the contest between Russia’s Konstantin Chernov and Romania’s Rares Sipos; Quadri Aruna opposes the victor in the duel between Chinese Taipei’s Lee Chia-Sheng and the host nation’s Krisztian Nagy. In a similar vein, in the women’s singles event, it is start in the first preliminary round; Egypt’s Dina Meshref faces Switzerland’s Rahel Aschwanden, Yousra Helmy confronts Ukraine’s Tetyana Bilenko. Meanwhile, it is the same scenario in the men’s doubles. Youssef Abdel-Aziz and Khalid Assar oppose the combination of Denmark’s Anders Lind and Hungary’s Bence Majoros in the opening preliminary round; in the counterpart women’s doubles competition Yousra Helmy and Dina Meshref confront the French combination of Marie Migot and Laura Pfeffer. First preliminary round contests; it is no different in the mixed doubles. Khalid Assar and Yousra Helmy meet Russia’s Alexander Shibaev and Polina Mikhailova; Omar Assar and Dina Meshref confront Ukraine’s Yaroslav Zhmudenko and Solomiya Bratayko.